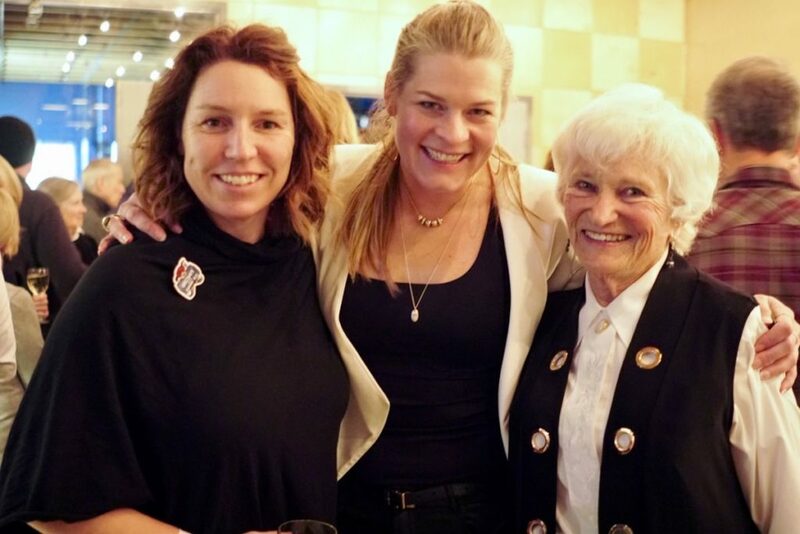 This March 2, 2019 the Emily Brydon Youth Foundation launched its Legacy Campaign at Fernie Distillers to a small group of EBYF supporters. The basis of this campaign is to build a permanent endowment fund of $1 Million in three years, that would ensure the youth of the Elk Valley have a permanent resource to support their dreams. In the 2018/19 winter season, the Emily Brydon Youth Foundation for the first time received more applicants than its budget allowed. It was a very eye-opening and heart breaking experience. 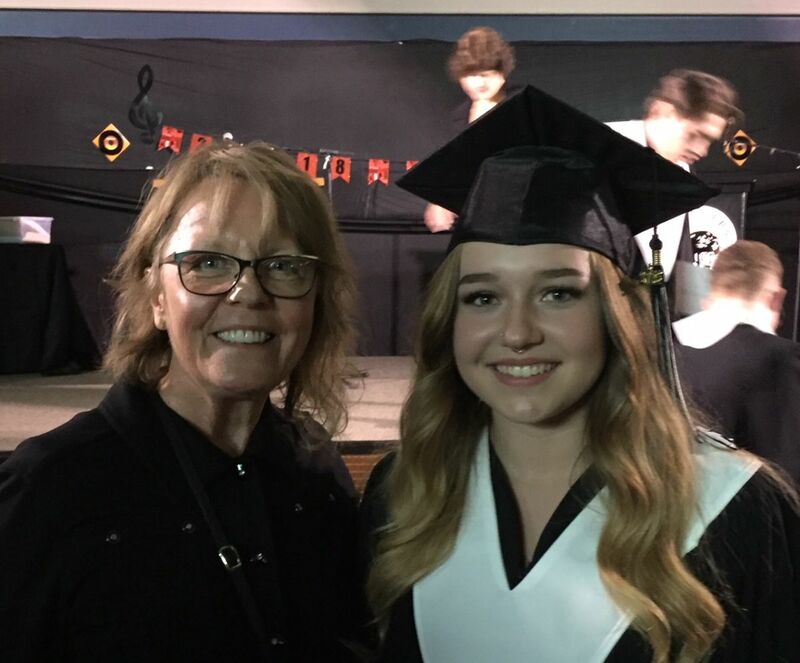 As a foundation with a mandate to support the youth in the Elk Valley in the pursuit of their dreams in arts, education and sport, it was important to find a solution. Fortunately, this challenge inspired the board to think bigger and to create a plan. We are happy to announce that as of today, we have commitments totalling $500,000 towards the $1 Million goal, including a contribution from the RCR Summit Fund of $100,000. RCR has been a strong supporter and partner of the EBYF every year since the foundation was started 13 years ago. “I am inspired and humbled by the generosity of people and the trust they have in the foundation to ensure youth in the Elk Valley are provided equal opportunity to experience and chase their dreams” Emily said after the kick-off event. The event created excitement and awareness of the campaign and its fresh brand, and what it could mean for the communities of the Elk Valley. Emily, along with the board members at EBYF are ready to grow and evolved to the next level. “Let’s enable new fundraising channels to meet the forever growing demand,” she added. For more information on the campaign or to donate, please visit theEmily Brydon Youth Foundation website. 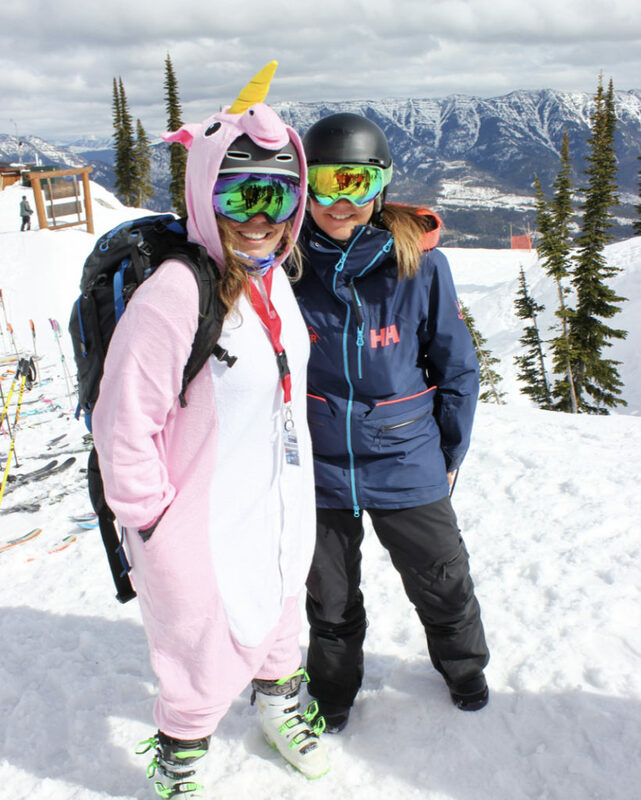 When Claire Smallwood moved to Fernie last year, she brought with her a passion and drive to initiate opportunities for women and girls in the Elk Valley. In the USA, Claire co-founded SheJumps a non-profit organisation whose mission is to increase the participation of women and girls in outdoor activities to foster confidence, leadership, and connection to nature and community through free and low-cost outdoor education. 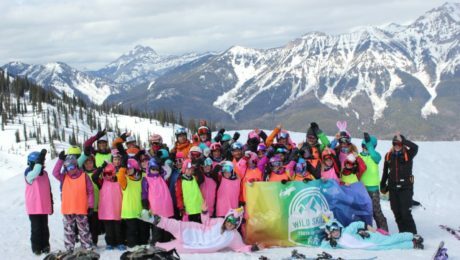 On 25th March, Claire teamed up with Fernie Alpine Resort to bring the girls of Fernie the ‘SheJumps presents Wild Skills Jr. 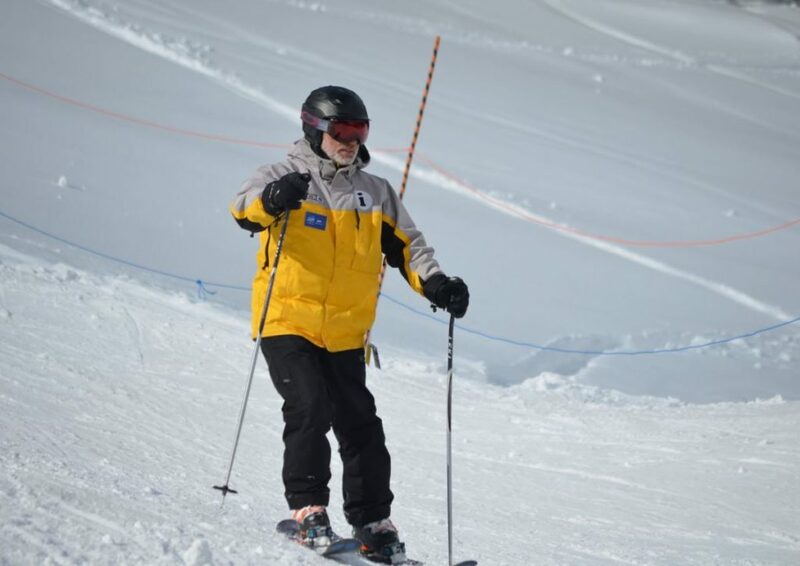 Ski Patrol’ event and it was a huge success! 4 professional patrollers, 6 passionate volunteers, and 32 incredibly stoked girls (8-17 years old). 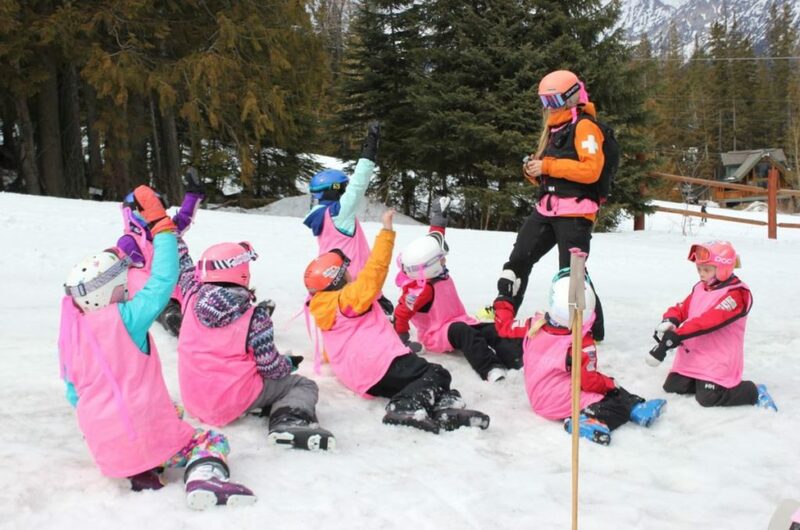 Young girls learnt about mountain safety & First Aid while working with the strong women on Fernie ski patrol. Throughout the day girls were taught a range of outdoor skills that are utilized by ski patrollers to keep them safe on the mountain. This was the first Jr. 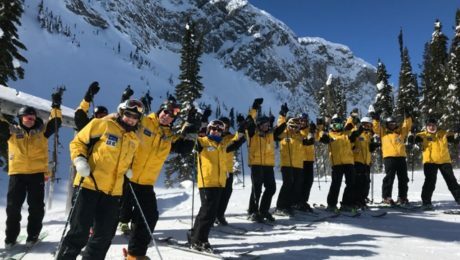 Ski Patrol event in Canada. 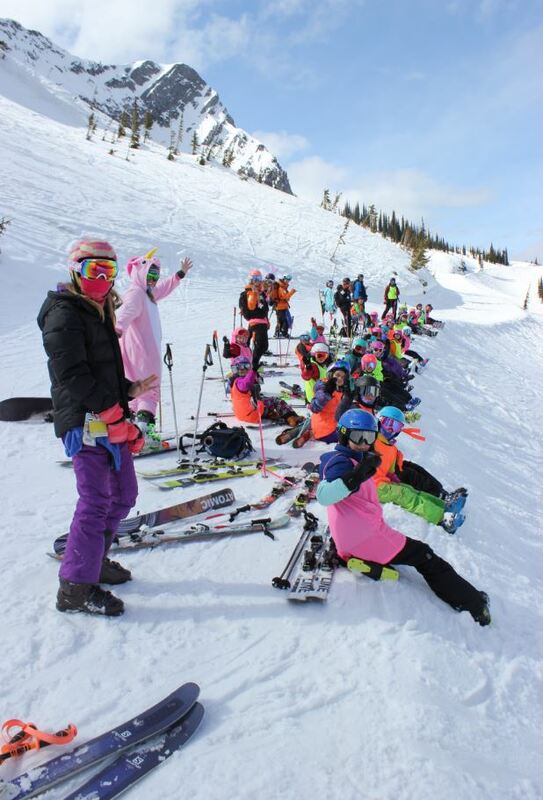 It was exciting to see young girls excited about mountain safety and expose them to positive female role models in the local Fernie community. One participant said, “Today was the best day of my life.” Well, hard to top that! We are very lucky to have Claire here in Fernie and look forward to working with her to provide ALL women and girls with the spark that will lead to a lifetime of outdoor learning and empowerment. They are the first people you see when arriving at the base area of Fernie Alpine Resort. With a smile on their face, and a bright and cheery hello, a Mountain Host is never too far away to hand out advice on what to do, where to ski, where to go for the best nachos in town – anything, they’ve got you. There are 39 Mountain Hosts currently volunteering at FAR. Often referred to as a ‘dream job’ you will see them all over the mountain just waiting to help out a guest in need. On a busy day, there will be up to 10 Hosts, covering the base area and both sides of the upper mountain. Their role can range from helping to change signboards, assisting people with directions, or providing help down the mountain. Check out this awesome video on Fernie Alpine Resort Mountain Hosts! 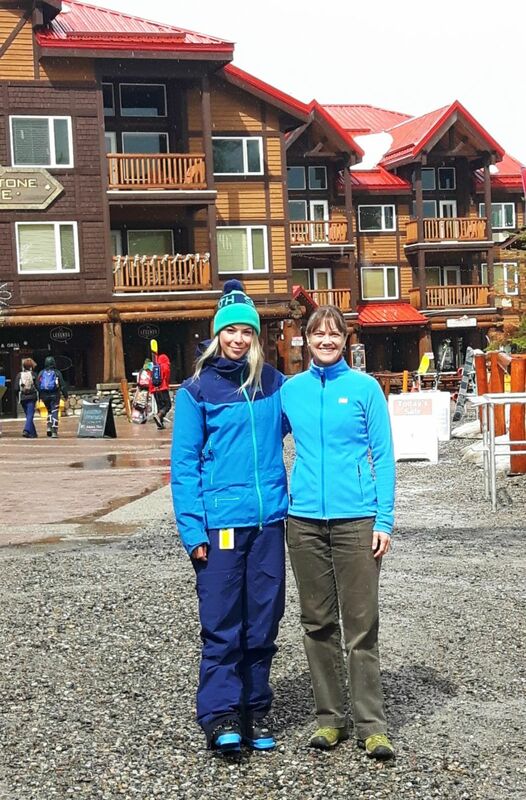 We are very fortunate to have many long-serving Mountain Hosts, 3 have been volunteering for more than 25 years and received a Lifetime Pass here at Fernie. Charlotte is actually in her 31st year of Hosting which is just incredible! Jeff out on the mountain! 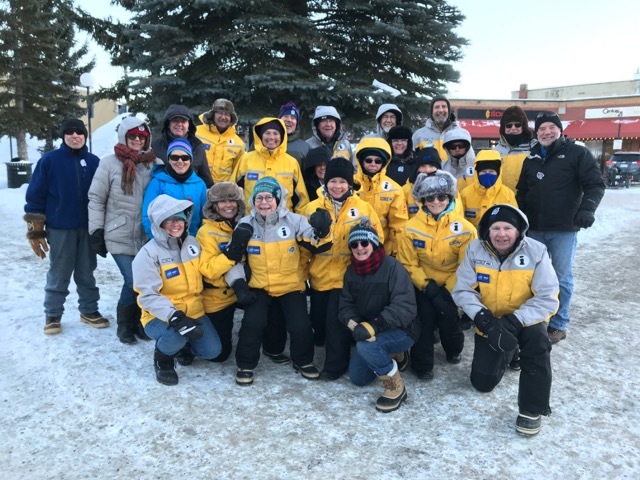 This year for the Griz Days Parade, our Mountain Hosts, in uniform, acted as parade marshals which earned them lots of thanks from grateful parents along the route. Always going above and beyond for their community, it was a wonderful sight to see them walking alongside all of the parade floats. The Mountain Hosts aren’t all work and no play! They have a social committee & have about 3 parties a season. They even hand out awards at their end of year party- one particular award goes to the person with the funniest “screw up”. The basic rule being that you cannot be injured in doing the “screw up” as we don’t want to encourage people to strive too hard for this notoriety. It’s always a good laugh! In March this year, we had the sad passing of Roy McLean, a much-loved host of 15 years. In tribute 18 Hosts, and may other friends and family, participated in “Roy’s Run” down Falling Star to commemorate him on his favourite run. This is to become an annual event. It is a rewarding job providing local knowledge and meeting people from all over the world. 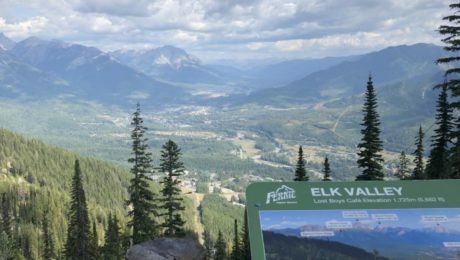 The frequent guest reply of “You are living my dream!” is a nice reminder of how fortunate we are to be here in Fernie. 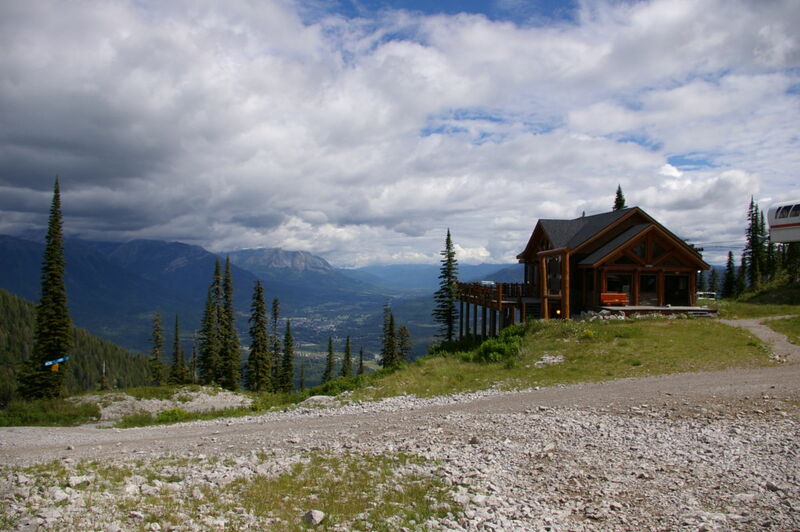 The Mountain Hosts are a great addition to Fernie Alpine Resort. These volunteers give up their time to make sure that our guests always have a friendly face close by if they ever have a question or need a helping hand, and we are very lucky to have them! Caleb Brown, getting his soul turns. This weekend Fernie Alpine Resort Ambassador, and local Freeskier, Caleb Brown will be competing in the Soulines Backcountry Freeski/ride event in Nelson, BC. A truly unique event, Soulines is designed to deliver a technical blank canvas of world-class terrain to a hand-picked group of avid backcountry enthusiasts. 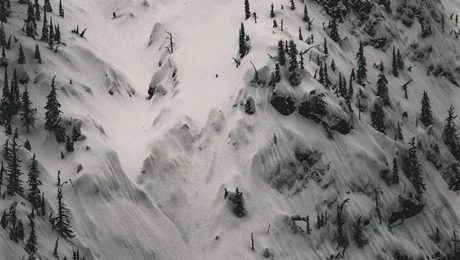 3 days of cliffs, pillows, chutes and high-speed open faces – this event has it all! 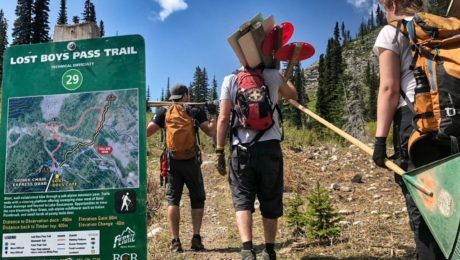 Nestled 14km off the highway, a 3-day base camp is set up next to Kokanee Glacier. 40 of the best skiers and snowboarders arrive at this invite-only event, for the ultimate backcountry experience, but it goes beyond that. I wasn’t planning on doing any competing this winter until I learned about Soulines, which is actually similar to an event I had dreams about creating myself. It is right up my alley, sledding, ski touring, winter camping and freeskiing all combined into one event. When I learned that it was invite only I wondered if my resume would make the cut, but after a month of anticipation, I got the invite. Since then it has been at the top of my priority list for this winter, and I can’t wait to be out there. My girlfriend, who was the one that turned me on to the event, is also invited and it’s her first big mountain competition so I also can’t wait to see how she does. That being said, there are 8 out of 40 competitors on the roster from Fernie, which is a huge contingency and awesome for the hype of the town! Events like this (even though this is a one of a kind!) always give me new perspectives, and I am excited to see how I look at things prior to this competition. Having followed this event for a couple of years, I am so stoked to see Caleb amongst it. I have no doubt that he’ll be throwing down crazy lines all weekend long. Closing time, every new beginning comes from some other beginning’s end… it’s time to shut down operations and start preparing for the upcoming winter season (2 months and 3 days, but who’s counting?). Join us September 29 & 30 for Bonus Weekend #4 and help us make our closing weekend a Legendary one! 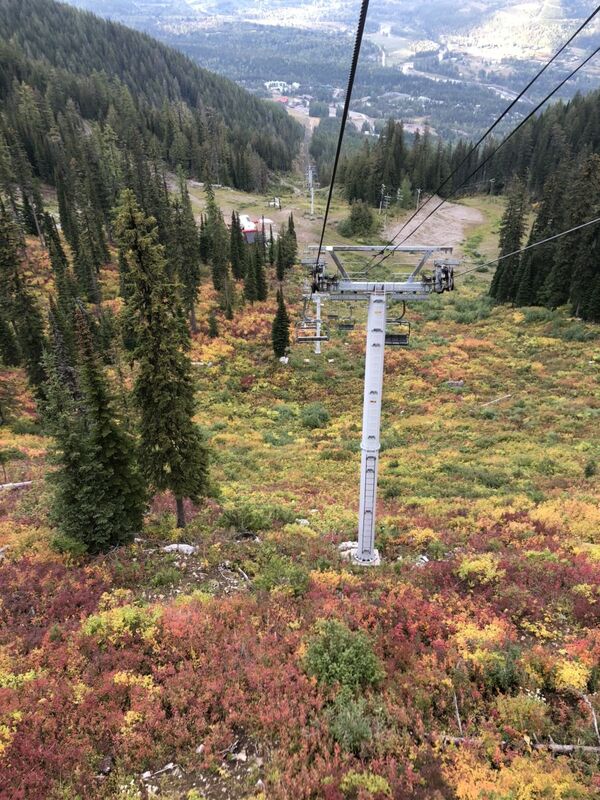 Don’t miss out on seeing the beautiful array of reds, oranges and yellows before the alpine gets covered in that white powdery stuff that we all love. Ride the Timber Chair between 10:30 am – 4:30 pm and take in those final hiking & biking adventures. While you’re up there, enjoy a tasty lunch and a refreshing bevie (or maybe a hot cup of cocoa) at Lost Boys Café. Dust off your retro bike, dig out your retro gear and get ready to send it for the last downhill race of the season. The Retro Mountain Bike Race takes place on Sunday, September 30 at 2 pm on the lower section of Deer Trail. Register at the Adventure Centre between 12 – 1 pm. Entry fee is $10 and includes a post-race beverage at Legends Mountain Eatery and loads of prizing for fastest times in each category, best retro costume, best decorated bike and awesome door prizes! A Legendary Oktoberfest is coming to Fernie Alpine Resort on Saturday, October 6! Dress in your best Oktoberfest outfit and join us in the plaza for the afternoon beverage gardens, open to all ages. Guaranteed to be good times with great music from DJ Goffles, craft beer, fun games and crazy contests for both kids and adults! Then it’s onto the Griz Bar for the adults for a delicious German buffet dinner while being entertained by live Oompah Band, European Touch. It doesn’t end there… more fun ensues during the after party – more music, contests and of course more beer! Learn about your body and mind health during the You and Your Body Wellness Retreat October 23 – 28 at Lizard Creek Lodge. Three world-class therapists will give you the tools to explore your potential through unique movement and innovative body therapies. Your retreat package includes 10 group classes focused on mind and body wellness, guided nature walks, accommodations, healthy meals and a self-care welcome kit. This event is almost sold out so make sure your book your spot before it’s too late! Join Yogi, Gordana Gigovic as she leads you through an all-inclusive weekend to recharge your mind, body and soul during the Fall Yoga Retreat November 2 – 4 at Lizard Creek Lodge. Package includes yoga lessons, nature walks, all meals and accommodations. 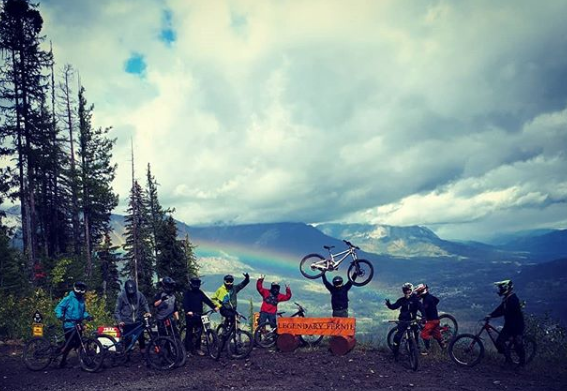 Huge shout out to everyone who visited us up on the mountain this past season and adventured along our trails…. we’ll see you soon. Now who’s stoked for winter?! Waking up to the snow-tipped Three Sisters is exciting and maybe less exciting is digging out your scraper to clear the frost off your windshield… but we all know this can only mean one thing – winter is coming. However, it’s not too late to get in some autumn action with two more Bonus Weekends left in September! 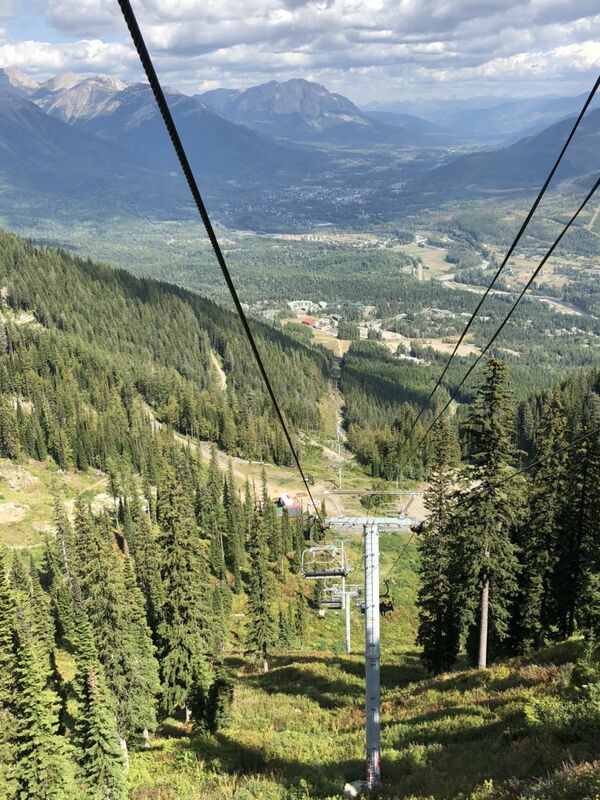 With the Timber Chair running on Saturday & Sunday from 10:30am to 4:30pm, you still have time to take in the beautiful sights and explore your favorite hiking and biking trails. Gather your friends and go on the *Peak to Park to Pint Bike Tour, challenge them to a *Treetop Aerial Park adventure or book a *Guided Nature Hike. Don’t forget to bring your camera! 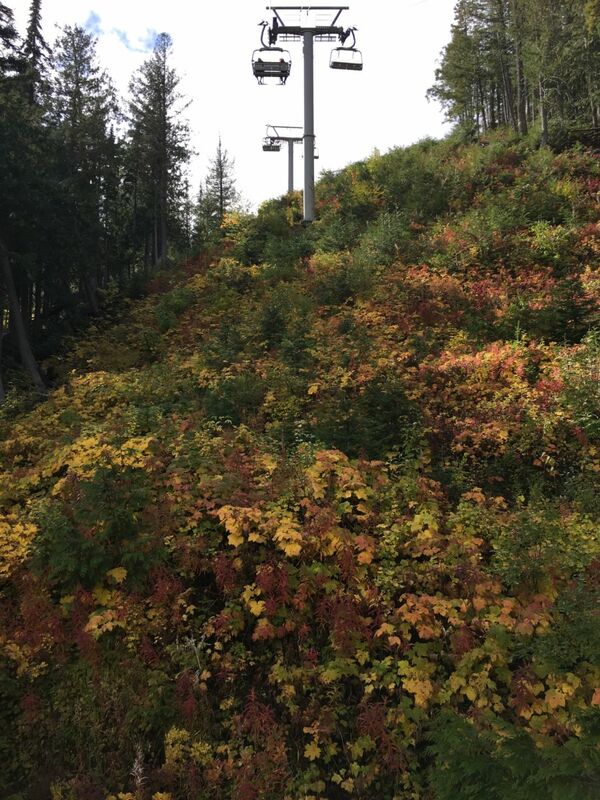 As we move into fall, the changing of the season is bringing a gorgeous array of yellows, oranges and reds to the mountain and to the valley – it’s a stunning sight to see. 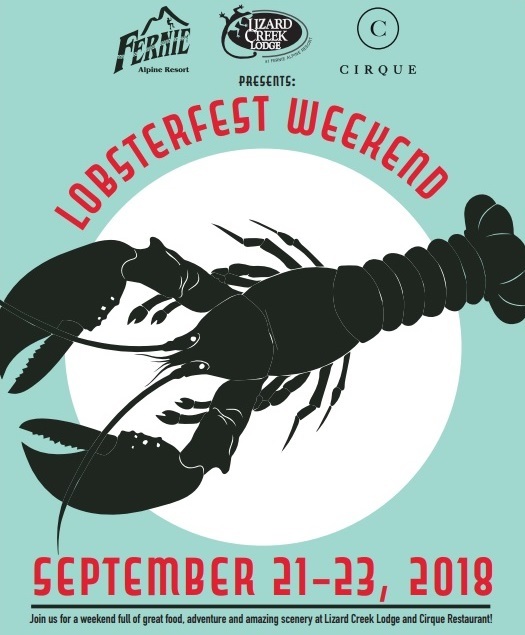 We also have something special planned for Bonus Weekend #3 – Lizard Creek Lodge and Cirque Restaurant are proud to be hosting Lobsterfest September 21 – 23! The weekend includes accommodation at Lizard Creek Lodge, lobster themed meals, a guided nature hike, and a lobster demo on how to cook and shuck a lobster. Are you a local Fernie Foodie? We have a special dinner date for you! Enjoy an evening of amazing food and live entertainment on Saturday, September 22. Fresh Maritime lobsters are being flown in for a delicious three-course dinner prepared by our talented chef at Cirque Restaurant. It will be the Lobsterfest of all Lobsterfests! There’s only two more weekends left of operations – don’t miss out on the awesome line-up of fall activities happening at the resort! *Advance booking is required. Please book at least 48 hours in advance by calling 250-423-2435. It’s all downhill from here until Bonus Weekend #2! Fall fun continues with the Timber Chair running from 10:30 am to 4:30 pm on September 15 & 16. Have you ever had dinner on top of a mountain? Here’s your chance! Join us on Saturday, September 15 at 4:00 pm for a delicious Mountain Top BBQ dinner at Lost Boys Café. 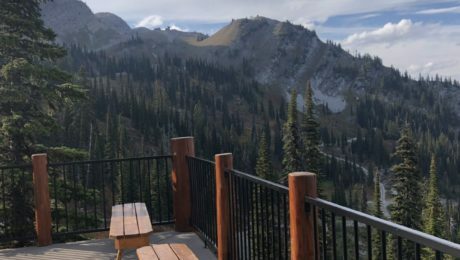 Guests will take a scenic chairlift ride up the Timber Chair and be treated to a special BBQ meal prepared by our chefs. After dinner, take in the stunning views of the Elk Valley from the Lost Boys Café deck. The Timber Chair will be available for downloading from 6:15 – 6:45pm. Reservations are required and must be booked in advance by calling 250.423.2435. Visit our website for more event details by clicking here. Dust off your old retro mountain bike, dig out your retro bike gear and get ready to race down a section of Deer Trail on Sunday, September 16! Registration will take place from 12 – 1pm at the Adventure Centre and the race will start at 2pm. Entry fee is $10 and includes a post-race bevie at Legends Mountain Eatery along with loads of great prizing including fastest times in each category, best retro costume, best decorated bike and door prizes! Click here for more information on the race. We know you love the summer and winter months but now’s your chance to FALL in love with the mountains in September. What a Legendary Summer we’ve had! But we’re not closing our doors yet… We’re open September 8th and 9th for our first Bonus Weekend of September! And with the Timber Chair operating from 10:30 am to 4:30 pm, the activities are endless. Whether it’s taking in the spectacular mountaintop views of the Elk Valley, hiking along the gorgeous trails throughout the local mountain ranges, riding down our Legendary lift accessed mountain bike trails, zipping through the trees in our Aerial Park, or just enjoying lunch and an ice cold one on the Lost Boys Café deck, we have something for everyone to explore including a few special activities around the resort this weekend. Here’s a quick run-down of what’s happening. Kick your weekend off with Saturday morning yoga at Lizard Creek Lodge. The beautiful mountain backdrop is guaranteed to rejuvenate your mind and body and get you ready for the rest of your weekend. If it’s a beer and biking tour you’re looking for, we have it! Join our Peak to Park to Pint Bike Tour running Saturday afternoon. From the top of the Timber Chair, cruise downhill and enjoy the trails through Mt. Fernie Provincial Park. 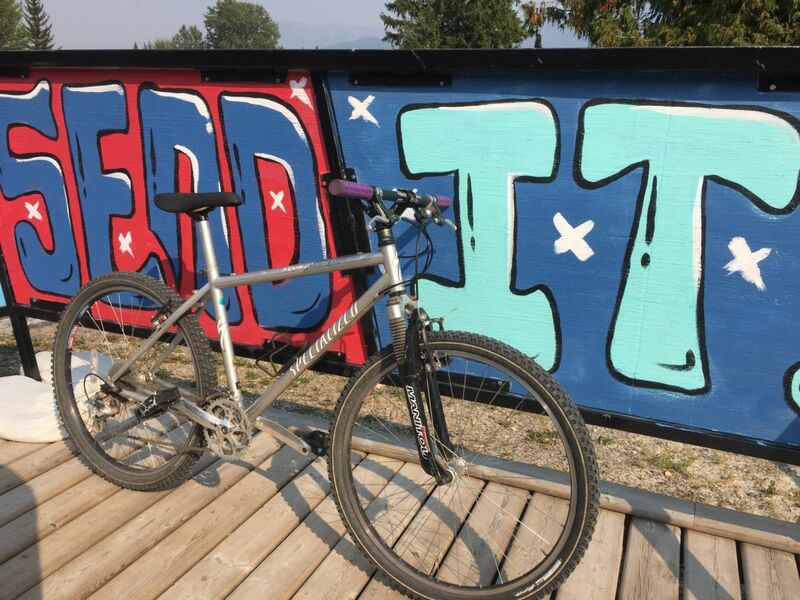 Pedal through town to reward yourself with refreshing samples of East Kootenay beers! And don’t worry about the kids, we have that covered – our guides will take the youngins on a guided nature hike with scavenger hunt followed by a pool party and BBQ dinner at Lizard Creek Lodge. End your Saturday with an epic Mountain Top Camping Experience near the top of the Timber Chair. Take the chairlift up to your mountain top campsite. After a guided hike you’ll enjoy a delicious dinner at Lost Boys Café – the bar will be open so enjoy an evening beverage while star-gazing from the deck. Wake up Sunday morning to stunning alpine views and have breakfast at the Café. You can either make your way back down the lift or continue your weekend fun by exploring the mountain by hiking and sightseeing. 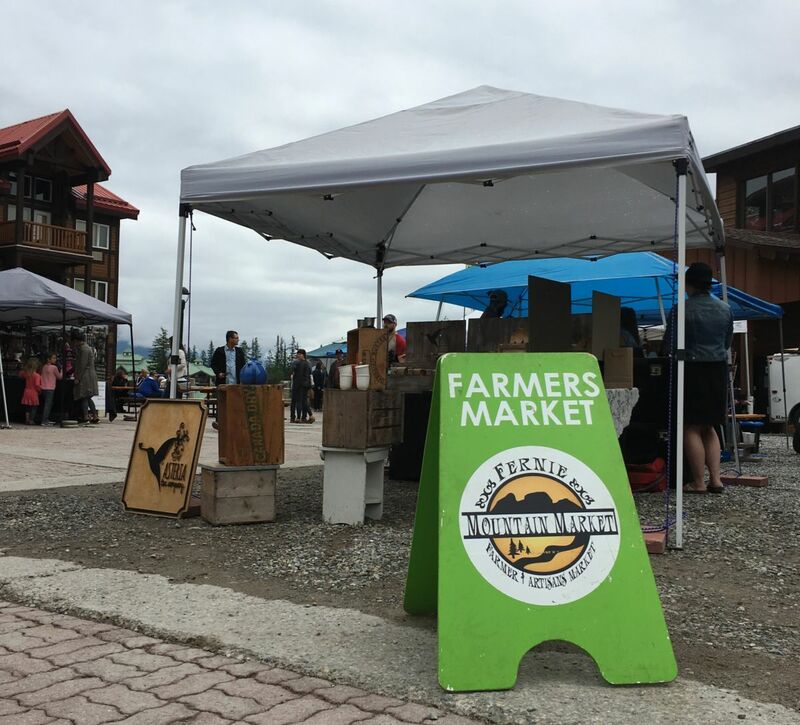 Join us on Sunday in the Plaza for a special Pop Up Fernie Mountain Market. Local vendors will be onsite with fresh fruits & vegetables, home-baked breads and handcrafted creations. And don’t forget to stop by the Adventure Cabin for their End of Summer Blowout SALE! 10-40% off selected hard & soft goods, as well as great deals on 2015 & 2016 SCOTT bikes all weekend long! Our regular summer operations may have come to an end but the fall fun is just beginning – your weekend adventure awaits you! 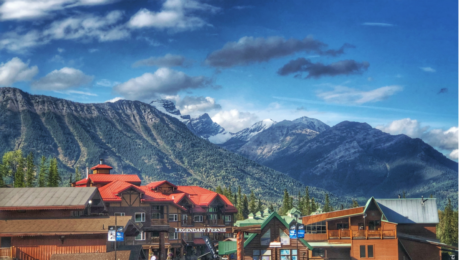 The Resorts of the Canadian Rockies (RCR) is forever grateful for the passion of their employees, guests and especially the home towns where the resorts are located. In each town there are people who have supported the resorts for many years and in an effort to give back to these communities, the Community Summit Fund was born. 2007 marked the first year of the Summit Fund program, with an initial five-year commitment, RCR donated over $150,000 to over 100 community organizations. After the first five years, RCR decided to officially renew the Summit Fund indefinitely and continue to donate to organizations, schools and charities each and every month. 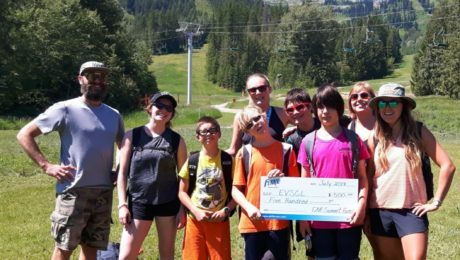 At Fernie Alpine Resort, our Community Summit Fund has helped transform the local Fernie community by supporting sustainable local projects that help create positive opportunities and outcomes for its citizens, especially youth. 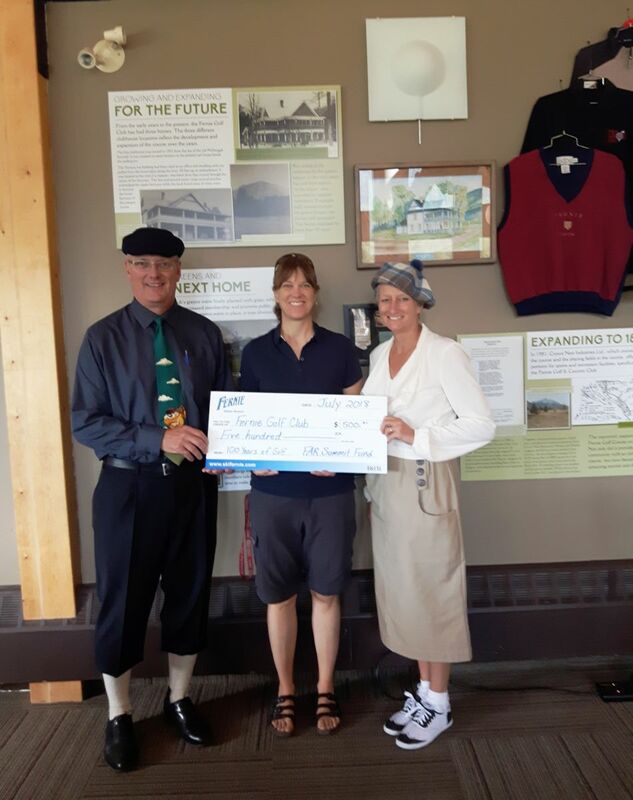 A commemorative display celebrating the 100th Anniversary of the Fernie Golf Club. The Community Summit Fund isn’t just about cash donations, but it’s also about being involved in the community ourselves. Our very own Robin Siggers is a great example of an employee giving back to the community. Robin is involved directly with the Fernie Ski Touring & Trails Club. He also volunteers his time working on the Fernie Dirt Jump Park – using the RCR loader, he moves dirt and shapes the jumps. 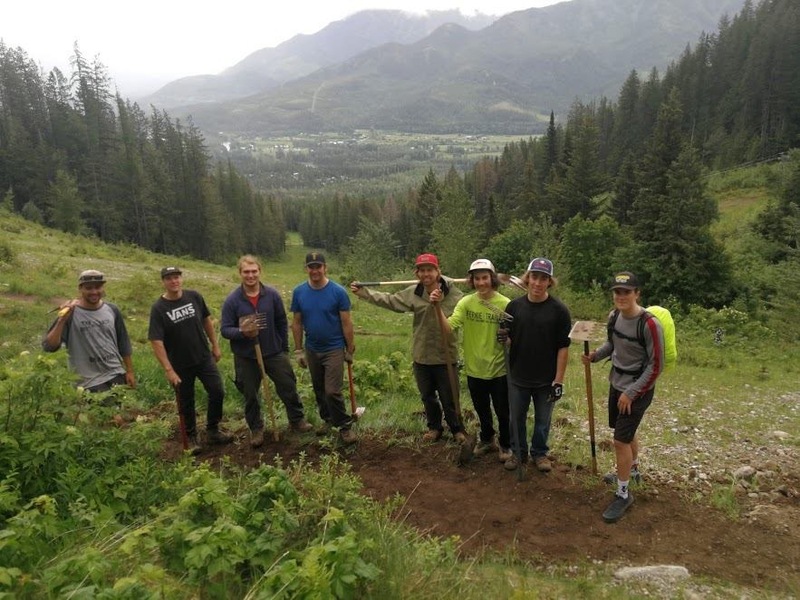 On top of that, he’s a regular contributor to the Fernie Trails Associations crew – working nights maintaining the trails. 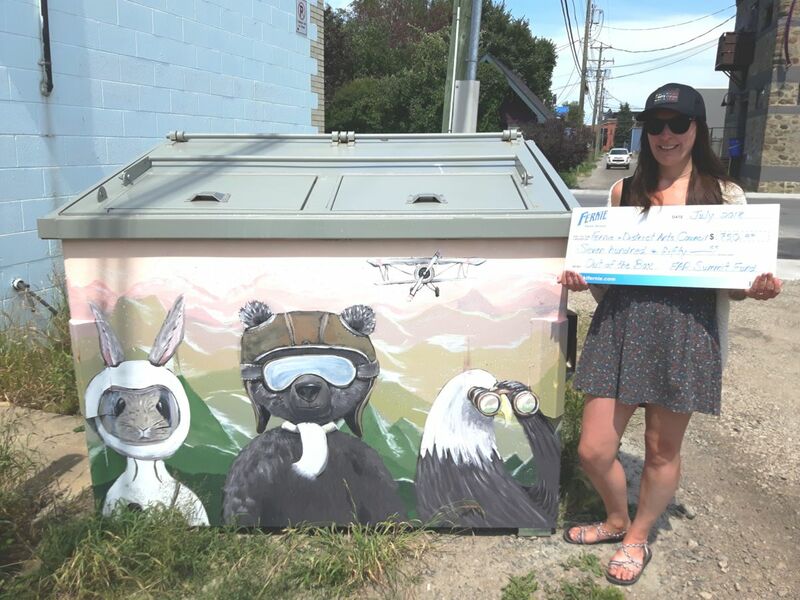 For more information on the Fernie Alpine Community Summit Fund and how to apply for a grant, please visit: https://skifernie.com/summit-fund/. 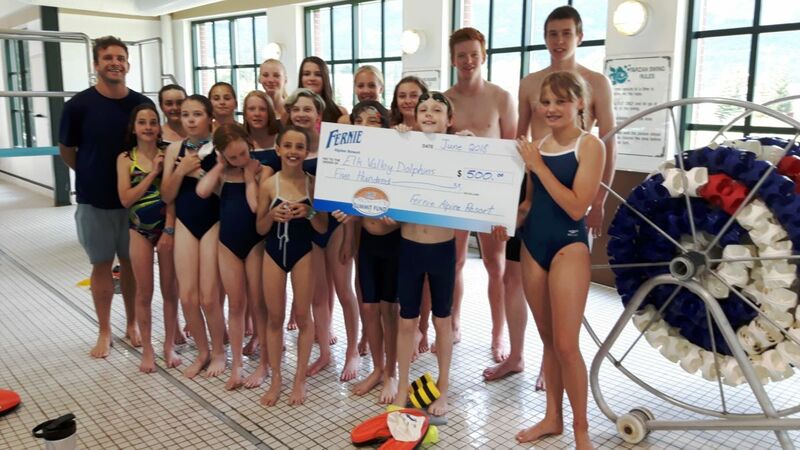 Support of the Elk Valley Dolphins Swim Club to attend competitions. We’re coming into the homestretch for opening day 2018. In less than 24 hours our doors will be ready to blast open for another Legendary summer of bike park operations, lift accessed hiking/camping and treetop adventures in our Aerial Park. Our to-do lists are long and with a severe storm watch in effect for today we’ve got to get back out there to get things in order for you before the rain falls, but here’s a quick update to wet your taste buds. 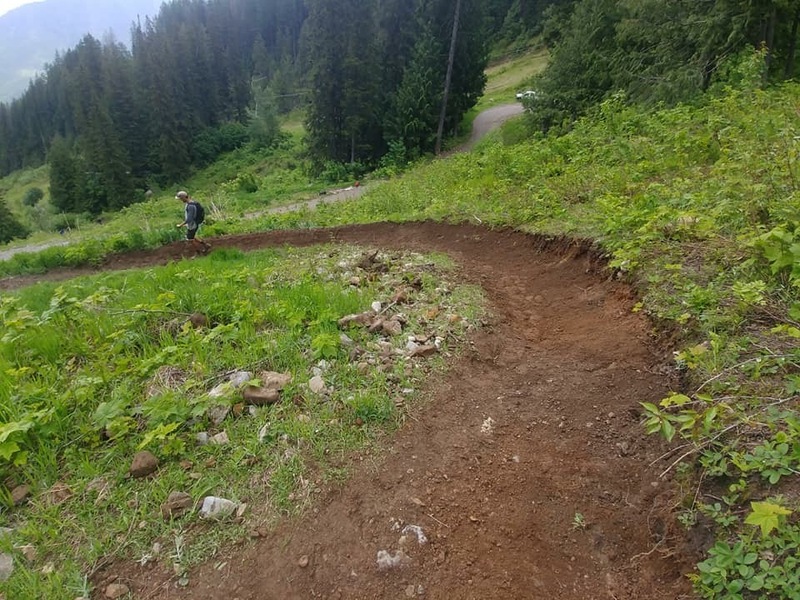 In our last crew report we told you about all the great work done on our Elk side trails this spring. Shout out to AERE Films who shot some amazing footage showcasing some of the tune-ups on Top Gun, Duff Dynasty and Deer Trail. You can check out the short video posted on our social media channels here. The dappled light kept much of our work shrouded in shadowy secret during the vid but there were quite a few hoots and hollers heard while they were filming – you’ll just have to come out and inspect those corners for yourself this weekend! We’ll have all Elk side trails open for you with the exception of Alternate Flight Pattern, Holo Bike and Kodiak Karnage. 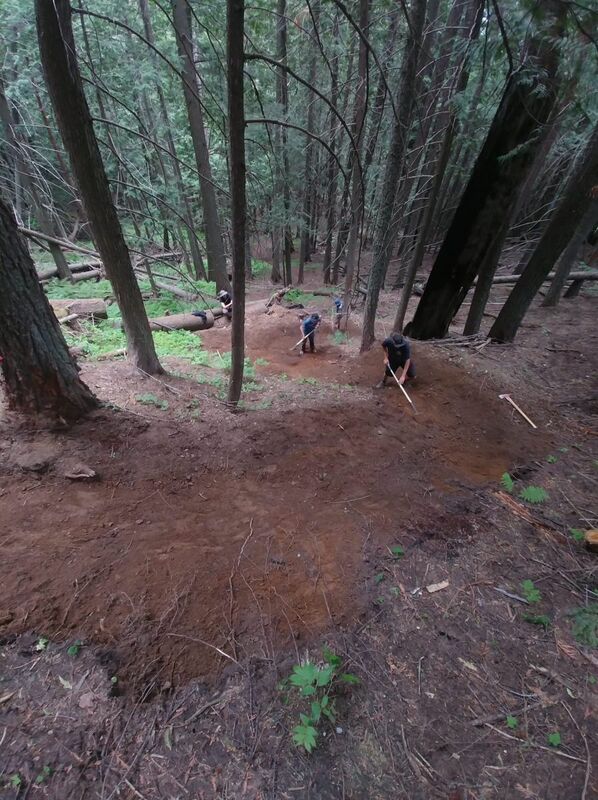 We’re working on a new section of bermy / jumpy trail on the Lower Lizard ski run to bring Elk side riders into the base. This is still a work in progress so, in the meantime, all riders will need to ride a short section of road to return to the plaza and the lifts. Please respect your fellow riders and other users sharing this road – SLOW DOWN. With snow finally melting off our alpine zones, our crews have spent the last seven days focusing on our Timber side biking and hiking trails. Last Saturday, we hosted our first ever volunteer trail day work party. A solid crew of seven came out to kick off a rejuvenation project on Rumplestumpkin. The work continued all week as we repaired cribbing, rebuilt corners and took care of some other messy sections that needed love. There is still a lot of work to do here over the season but we’re pretty stoked on the great start and look forward to getting this trail back in primo shape for all you dark side riders. 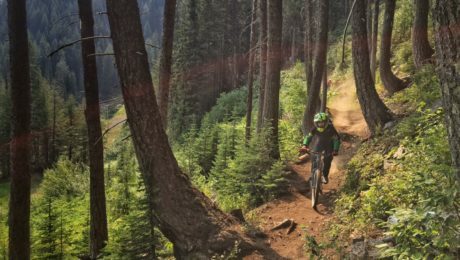 Current Timber side trail status – Upper TNT will remain closed for the weekend, however we will be offering Bike Thief, Bin Logdin, Lower TNT and Neverland in addition to the 4km alpine to valley bottom Rumplestumpskin. 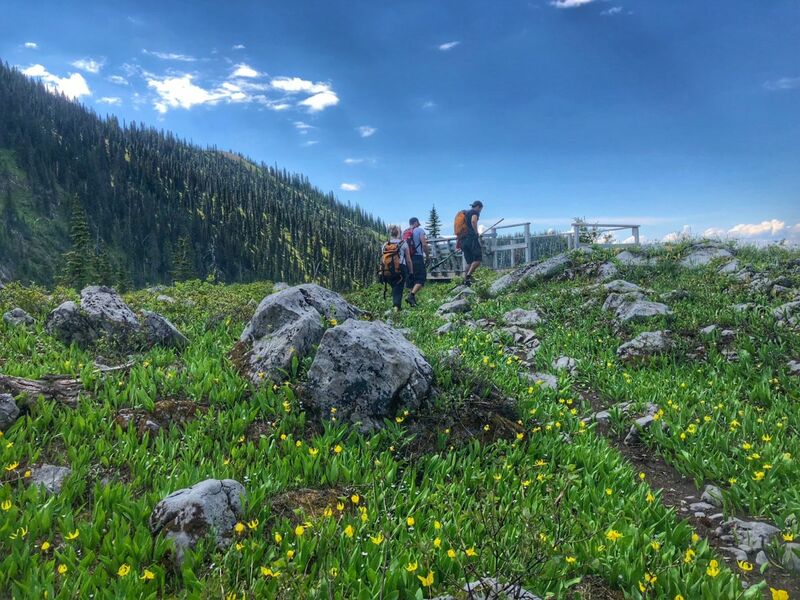 Hikers can access outstanding alpine views on the Siberia Ridge, Lost Boys Lookout, White Pass, Pika Pass and Milky Way Trails. 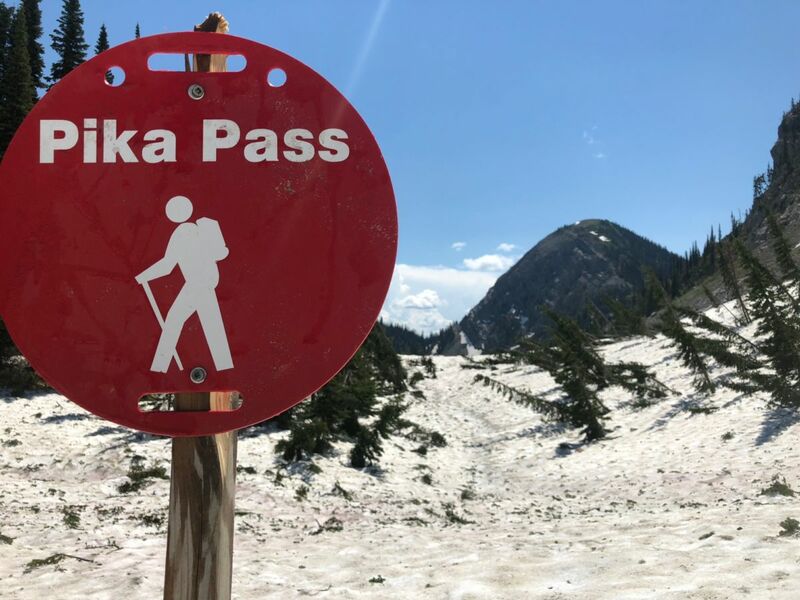 Note – some of the hiking trails still have snow such as Pika Pass, but the trail crew has marked the trail and it will be a very “cool” hiking experience. A few friendly reminders as we unleash summer on you. Many of our trails have changed and early season conditions exist across our mountain. Take it easy. Do a few slow inspection laps to scope out the changes, gauge your speed accordingly and get reacquainted. If this storm produces tonight, there could be blowdown and slippery conditions out there tomorrow. Watch for workers out on the trails and please stop to give us your feedback or voice any concerns you may have. For on-mountain emergencies please feel free to program the Patrol Emergency Number (250-423-2426) into your cell phones. Can’t wait to see everyone out there!